Hotel Staubbach offers simple, homey accommodation in one of the most beautiful valleys in the Swiss Alps. 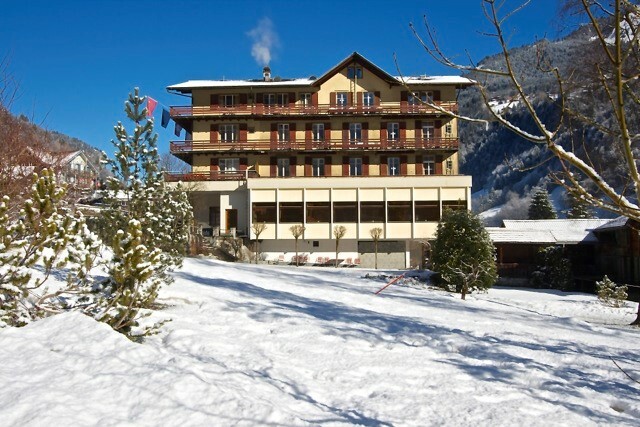 In winter, we offer exclusive use of the entire hotel to self-catering groups looking for an affordable ski holiday. The comfort of a hotel for the price of a youth hostel! 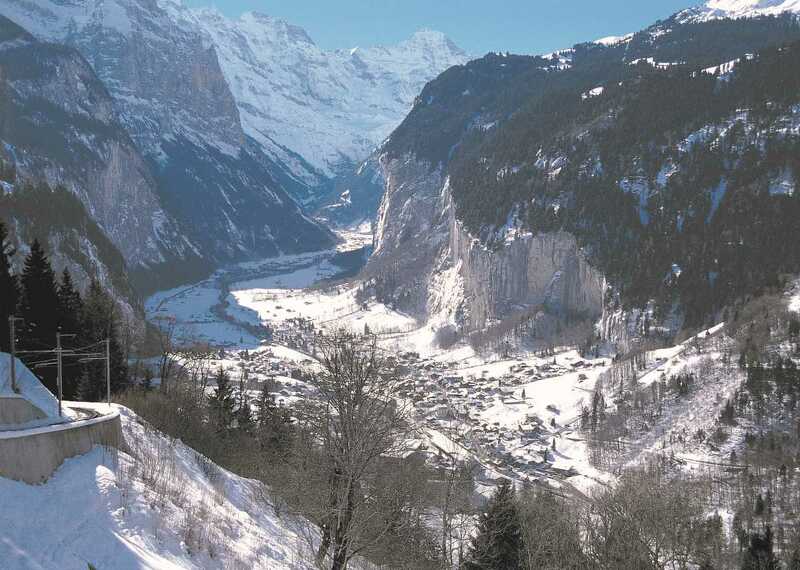 Lauterbrunnen is the gateway to the Jungfrau ski region. From here you can reach ski pistes within 20 minutes – on either side of the valley. The ski area features 213 kilometres of slopes, 100 kilometres of sledging and winter hiking routes, 5 marked snow shoe trails and snow parks - all with breathtaking panoramic views of the Eiger, Mönch and Jungfrau mountains. The Staubbach is a well-equipped, traditional hotel with 29 rooms (68 beds), simply and comfortably furnished to a 2** standard. Most rooms have their own bathroom / WC and many have balcony. On the ground floor there is a large dining room with wonderful views of the Lauterbrunnen Valley and surrounding mountains as well as two spacious lounges, one of which has a large flat screen TV. 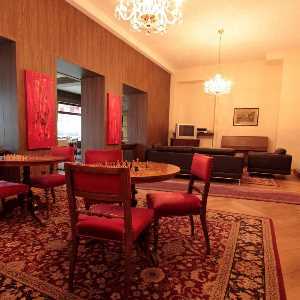 Groups are also welcome to make use of the cosy bar and lobby. The hotel offers wifi in all areas of the hotel at no charge, as well as a lift and plentiful parking onsite (also for one coach). Our price includes all of the following: exclusive use of the Hotel, heating, water, electricity, visitor tax, MWST, mid week room cleaning (for stays of 5 nights or more) and departure room cleaning. The Hotel Staubbach is located in the heart of Lauterbrunnen, just 10 walking minutes away from the train and cable car station. It is easily reachable by both public transport and private cars. Lauterbrunnen is the gateway to the Jungfrau ski region. 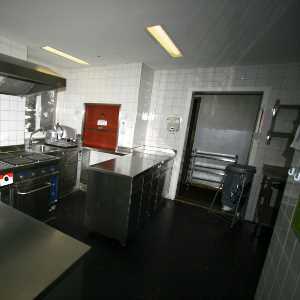 From here you can reach ski pistes within 20 minutes – on either side of the valley. The ski area features 213 kilometres of slopes - all with breathtaking views of the Eiger, Mönch and Jungfrau mountains. The Jungfrau ski region is an Eldorado for boarders. Of course it also has a fun park. You can also rent a toboggan and go for a ride. You can hike on 100 kilometres of sledging and winter hiking routes.